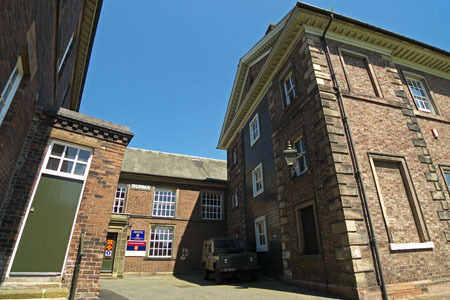 Burma barracks building in the outer ward. Carlisle Castle. Burma block in the outer ward. Built as a gymnasium in 1938.